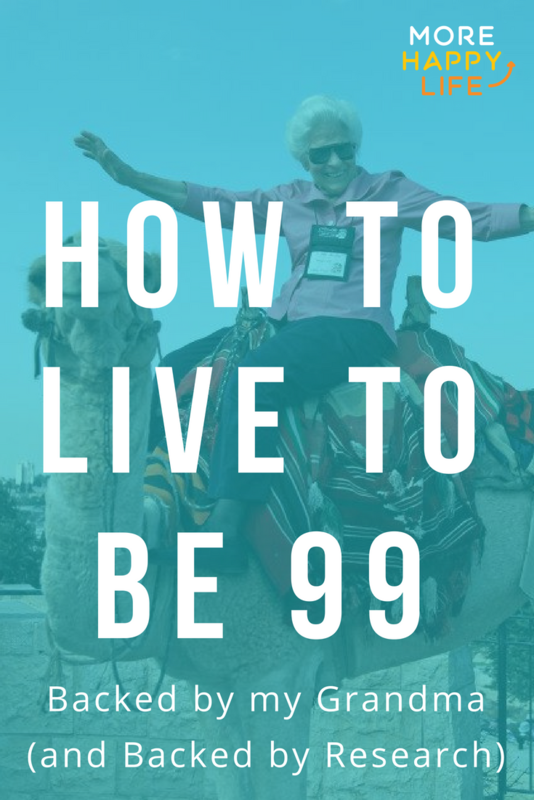 This week my grandma turned 99. WOW! It was a very special day for her and for our whole family. Not many people live that long. I am amazed at how long she has lived and love hearing the wisdom from someone who just entered her 100th year of life! I can’t stop bragging about it. Amazing. But how does one live longer? Unfortunately, I didn’t get any audio from my grandma today, but I already set up a time to record her next week where we will go into depth about how she has lived well the last 99 years. 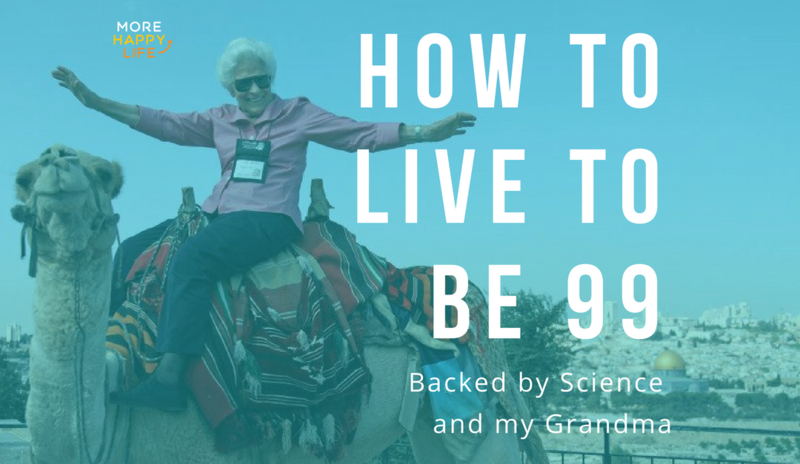 All of this inspired me to talk about the research from National Geographic’s Dan Buettner on the Blue Zones as well as Elizabeth Blackburn’s Nobel Prize-winning research on telomeres and aging. Do you want to live longer? Well, these tips could add at least another 10 years to your life. Science shows it and so does Grandma. More Happy Life on Apple Podcasts. More Happy Life on Google Play. More Happy Life on Overcast. More Happy Life on Pocket Casts.